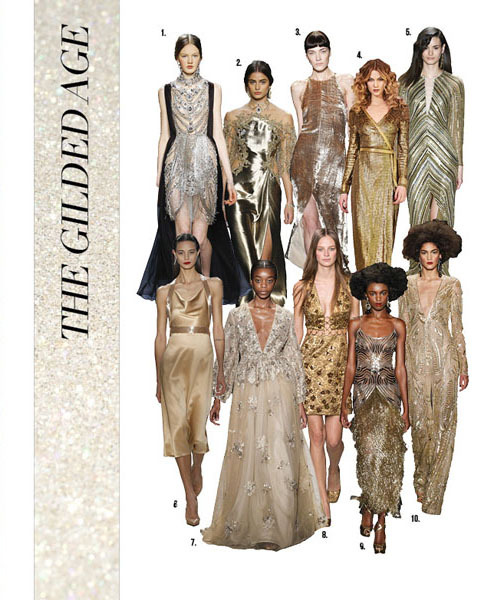 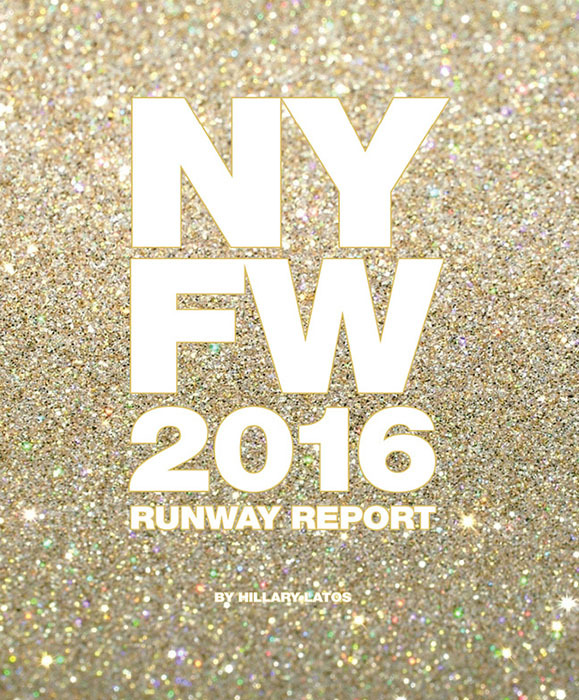 From beaded embellishments to lurex laced fabrics, designers brought the Midas Touch to their collections where gold reigned the runways from platinum to deep golden hues. 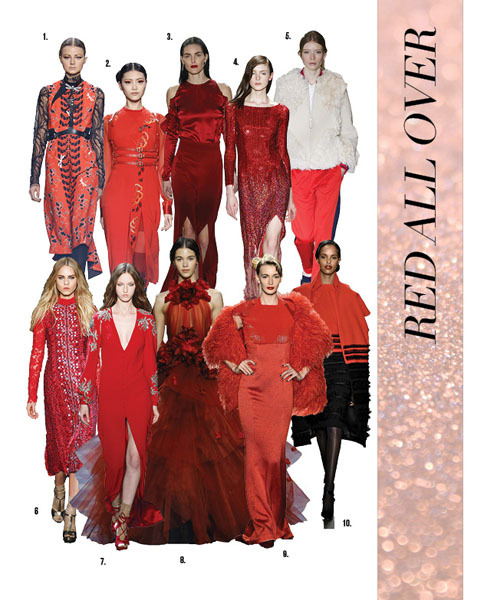 Red has been associated with power, lust, passion, love, and beauty- which is exemplified in these collections. 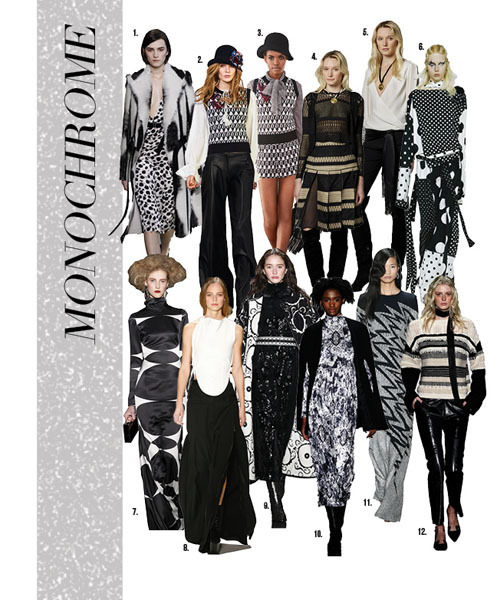 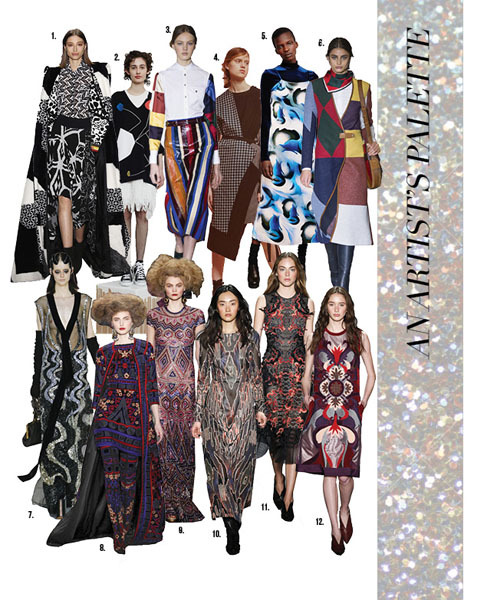 Proving that opposites attract, graphic patterns with a stark contrast are continued from last season.